Getting a ticket for speeding is something nearly every driver experiences at some point in his or her lifetime. Although cars these days are much safer and better equipped to handle the roadways at higher speeds, outdated speeding laws are not going to save you from receiving a ticket if you are caught speeding. The majority of speed limits exist to keep drivers safe under optimal road conditions; thus if it’s a classic dreary day in Ferndale, WA, speeding can pose even more of a threat to other drivers. What Should I Do with My Ticket? If you received a traffic citation for speeding you should contact a legal firm that specializes in traffic violations as soon as possible. Traffic tickets are not something you want to pay, although that is just what the state of Washington wishes you to do. When you pay a speeding ticket in Ferndale, Washington you admit to the act of speeding. This leads to higher insurance premiums and a stained driving record. If you accumulate too many driving violations, it is possible to have your license revoked. An experienced Ferndale speeding ticket lawyer is able to fight your speeding ticket without you even needing to show up in court. What your tough attorney will need is your information, a brief explanation of the events that led to the stop, and the citation information. Your attorney will use those details to guide all the necessary research to build a strong case. Police officers frequently make many mistakes in the field that could lead to your ticket being dismissed altogether once they are revealed. They may have also used unscientific or outdated methods to determine your speed and give you a ticket. Your traffic ticket attorney in Ferndale will have the necessary skills to fight your ticket. If you have received a traffic ticket in Ferndale, WA, contact a Ferndale traffic ticket lawyer right away to discuss your case. At MyTrafficMan, our top-caliber attorneys have experience defending speeding violations. Our attorneys are thoroughly vetted and you can contact them directly at any time. 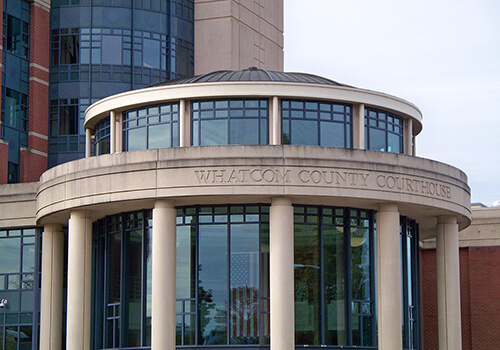 With a network of attorney offices in Bellingham, Skagit County, Bellevue, and Vancouver, Washington, MyTrafficMan is a link to a select alliance of top-caliber lawyers for Legal Care in DUI, criminal defense, car accident claims, and speeding ticket violations. Call MyTrafficMan today at (360) 734-0908 to schedule a free in-depth consultation, or get legal advice from an attorney right now.